Steel Hunting Dog Bell . $3.99. "I get more positive feedback from other hikers. They love the fact that they can hear my dog coming on the trails." I get more positive feedback from other hikers. They love the fact that they can hear my dog coming on the trails. "This is the nicest bell I can find and just the perfect size for my beagles." This is the nicest bell I can find and just the perfect size for my beagles. I can hear the bell a decent ways out. I just replace the clip it comes with and zip tie it on there collar, so the clip doesn't get caught on the pickers and brush. "Just what I needed. Thanks." "Audible, especially with three dogs wearing them!" Audible, especially with three dogs wearing them! "Awesome product. Awesome service. Will do business again." Awesome product. Awesome service. Will do business again. "It is larger and louder." It is larger and louder. Can be adjusted for length. Previous one we have drags in the snow and plugs, freezes. "They are loud and work great." 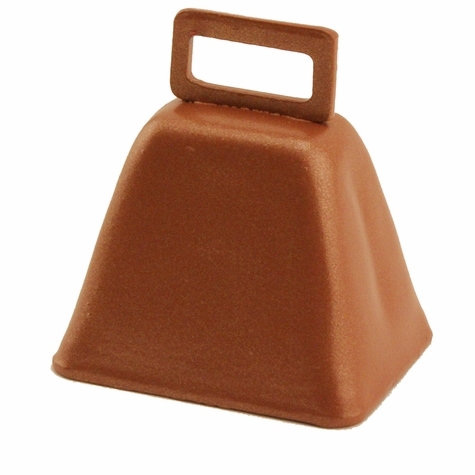 I bought two bells for the doors in each of our homes. They are loud and work great. Yes, I train our Lab to ring them when she wants to go out. "Loud, and can keep up with her when she is chasing squirrels." Loud, and can keep up with her when she is chasing squirrels. "Low tone with a good hearing distance." Low tone with a good hearing distance. "Nice and loud to keep track of beagle when running rabbits." Nice and loud to keep track of beagle when running rabbits. Bell does what it was advertised to do. Was hoping to be able to hear it at a little bit further distances in hilly dense woods, but works well out to about two hundred yards or so. Dog doesn't seem to mind when wearing it. She doesn't like thunder and will hide at the sound of thunder or fireworks. She hated the bell; thought I was trying to kill her. Lesson learned. I will never do that again. Thanks God my place is fenced. I am sure it would work great on other dogs. It has a great sound!